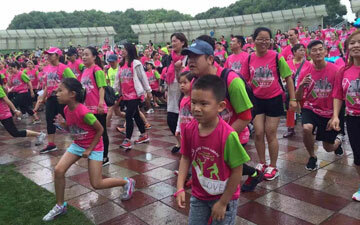 Held each spring in Shanghai’s Century Park, More Than Aware’s fun run brings together thousands of people. 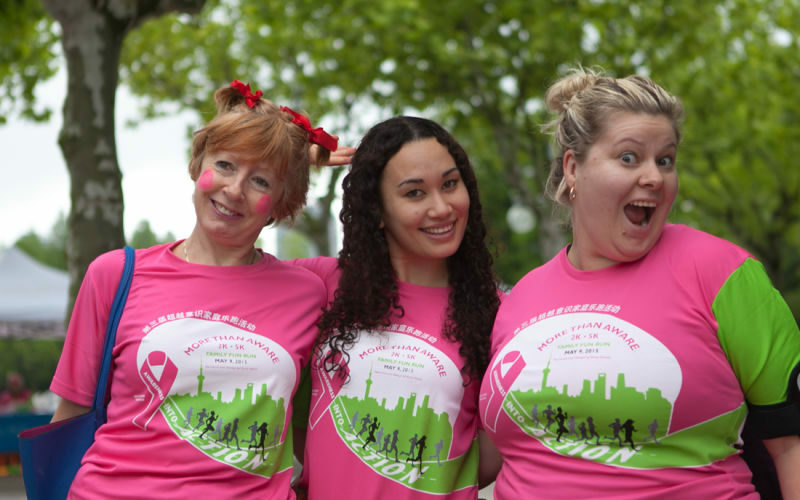 Participants create wellness goals and run to support breast cancer Thrivers. 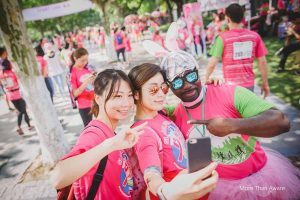 In 2017, the Annual Fun Run went global. People could participate in the location of their choice. Here are some of our Global participants. My Green (Him): Run the Boston Marathon in 2018. My Green (Her): Improve my flexibility. I run almost every day – for fitness, for stress relief, for alone-time. 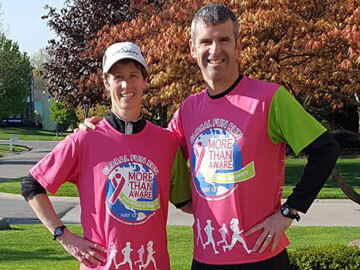 But on May 13, 2017 I was side by side with my husband in the MTA Global Run, toward a world-wide united effort to support all cancer patients and their families. I wore my MTA shirt proudly, feeling the camaraderie of thousands of others all over the globe. 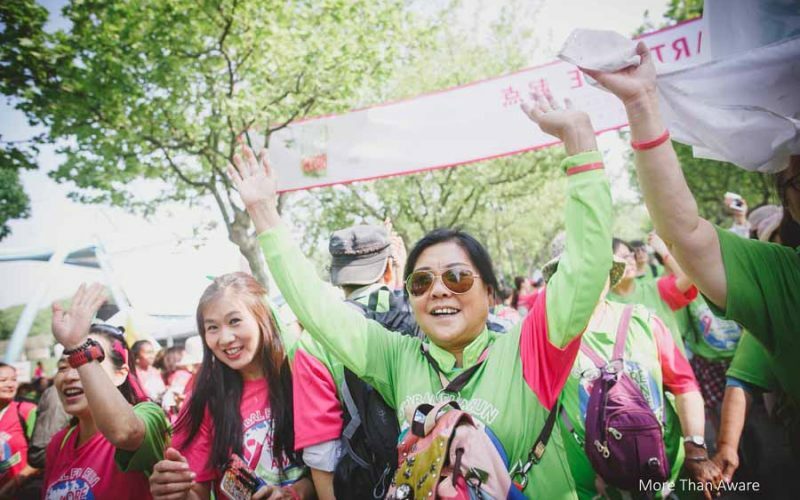 I ran for [friends] and the many others whose lives have been touched – and taken – by cancer. 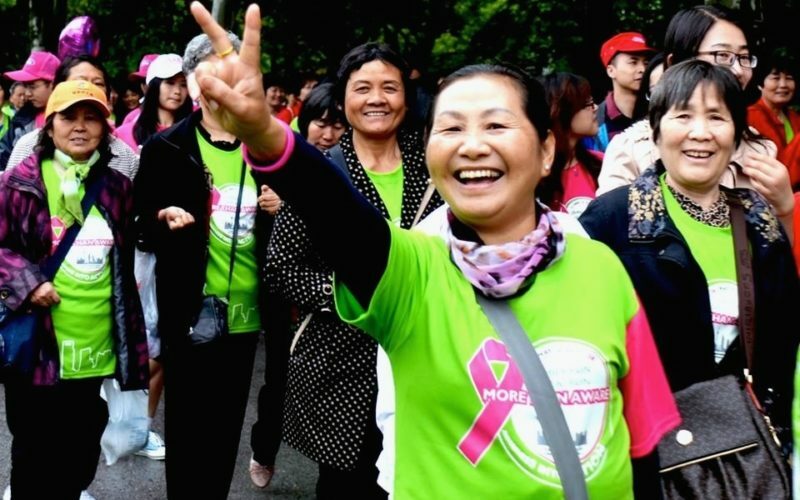 I ran for a cancer-free future. Together, we are stronger. Thank you, MTA! My Green: To sweat for 90 minutes a day. I really enjoyed this race when I ran it the first time it ever happened in Shanghai! I was so excited when it went international this year and I could participate in a great cause from Houston, Texas! 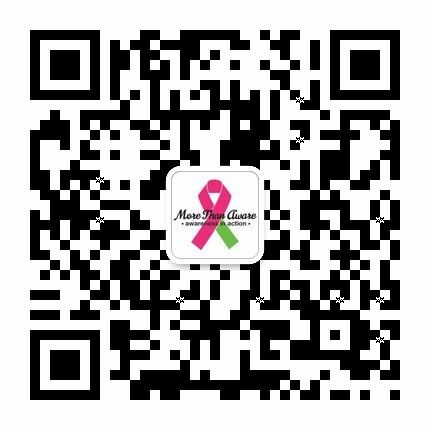 My grandmother is a breast cancer survivor so this cause means a lot to me. 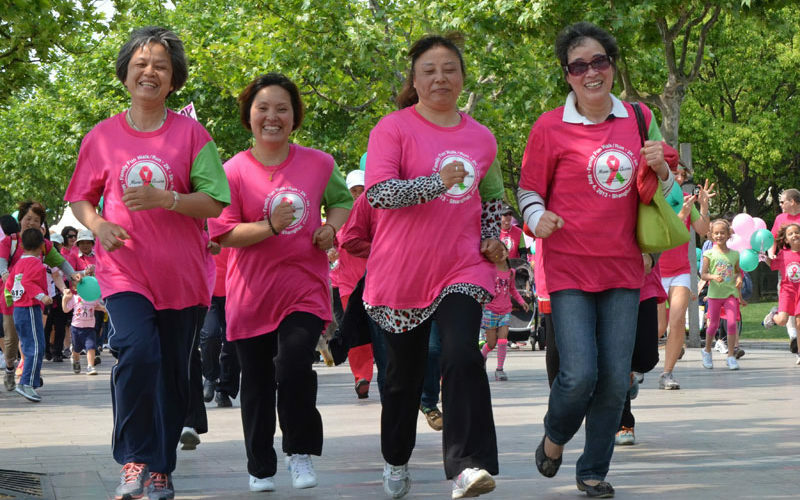 I run for her and everyone else who has been affected. My Green: “Choose Happiness,” because happiness is not an effect but a choice. 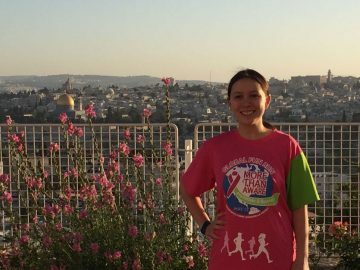 I was honored to participate in the More Than Aware Global Fun Run by walking/running 11.5 miles with friends through the streets of Jerusalem, Israel […]. 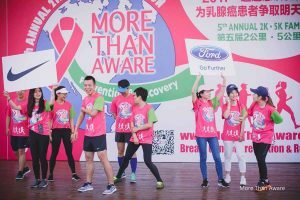 It was amazing to think that each of those steps truly counted for something great, and it was wonderful to know that no matter where I was in the world, I could make a difference for this cause to make people aware about breast cancer prevention and recovery. I am so grateful for the amazing people that joined together to make this happen. 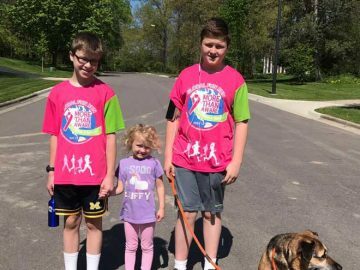 My Green (Runner #1): Eat healthier and get fit. Be awesome. 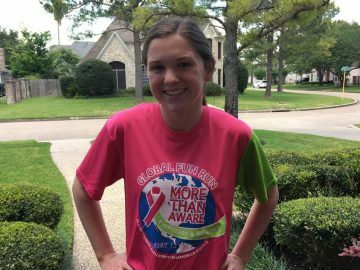 My Green (Runner #2): Eat healthier. Be healthy.